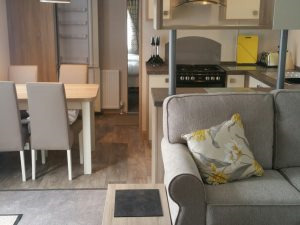 Luxury Caravan @ Goetre Retreat Small Holiday Park (SC)The Goetre Retreat Caravan Park is a small rural park located close to the Shropshire border, with easy access from nearby towns such as Newtown and Welshpool. 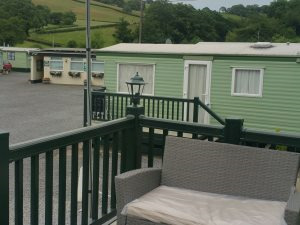 A holiday caravan is available for hire offering weekly lets or short breaks with all the comforts of home. Luxury Caravan @ Goetre Retreat offers weekly bookings starting on Friday and short breaks of 4 days starting on Monday and of 3 days starting on Friday. Please note an additional cleaning deposit of £20 will be required. Bed Linen will be charged at £5 per person Wifi Vouchers Available £5 for 1 appliance (72 hours) £10 for 3 appliances (72 hours) Discounts available for week bookings. Premier Static offers weekly bookings starting on Friday and short breaks of 4 days starting on Monday and of 3 days starting on Friday. It really is an excellent site, but we were disappointed that it was difficult for local walking. I was the only driver in the group, but we didn't have to travel far for good walks and places of interest. I would recommend it for anyone who wants a holiday "off the beaten track".